The University of Evansville Winter Commencement ceremony is set for 3:00 p.m., Wednesday, December 16, in Neu Chapel on UE’s campus. The ceremony will include the announcement of the recipient of the 2015 Exemplary Teacher Award, presented by the General Board of Higher Education and Ministry of the United Methodist Church. After the event, there will be a reception sponsored by the UE Alumni Association in the Class of 1959 Gallery and Lounge in the Ridgway University Center. This year’s Winter Commencement speaker is UE associate psychology professor Margaret Stevenson, who received the 2015 Outstanding Teacher of the Year Award at May’s commencement ceremony. The University of Evansville Alumni Association presents this award annually to a faculty member who is nominated by students, faculty, or administrators for his or her exemplary teaching abilities. Stevenson came to UE in 2008. She teaches courses in such areas as social psychology, research methods in psychology, and psychology and the law, and serves as advisor to many psychology majors, advising and directing some in research projects. At UE, Stevenson has been Honors Faculty Scholar in Residence, and served on the Institutional Diversity Council, Honors Program committee, and General Education Subcommittee She has been the social sciences representative for UE Faculty Senate, as well as corresponding secretary and parliamentarian. She received the Sydney and Sadelle Berger Award for Research in 2012, and the Association for Psychological Science RISE Research Award in 2011. She was presented the United Methodist Exemplary Teacher Award by the General Board of Higher Education and Ministry of the United Methodist Church in 2014. Stevenson is a past recipient of the American Psychological Association Division 37’s Section on Child Maltreatment Early Career Award. She serves on the editorial board for the Journal of Forensic Psychology and the International Journal of Psychological Studies. Stevenson earned her Ph.D. and Master of Arts in social psychology from the University of Illinois at Chicago, and her Bachelor Science degree in psychology and Bachelor of Science in French from Ohio State University. The UE Alumni Association is sponsoring a reception following Winter Commencement, Wednesday, December 16. The ceremony is at 3:00 p.m. in Neu Chapel and the reception will follow in the Class of 1959 Gallery on the second floor of the Ridgway University Center. Graduates, their family and friends and other members of the UE community are welcome to attend. Questions? Contact alumni@evansville.edu or extension 2586. This year’s Baccalaureate ceremony will be Wednesday, December 16 at 1:15 p.m., in Neu Chapel. This interfaith religious service will serve as a time to reflect, give thanks, and offer prayers for graduates and the world's future hope. Degree candidates who plan to participate in the Baccalaureate processional are asked to gather with faculty and administrators in the lower level of Neu Chapel by 1:00 p.m.; please bring your cap and gown. There will be open seating for friends and family who plan to attend the service. All are welcome. The UE Bookstore is offering 20% OFF all UE clothing and gift purchases December 10-16. Stop in and browse and save some money on your UE gift purchases. We also have some items on clearance at greater savings. Items already on clearance are exempt from additional discount. 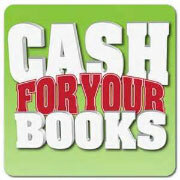 Cash for Books at the UE Bookstore starts at 9 a.m. on Thursday, December 10, and runs until 5 p.m., on Wednesday, December 16. We freely quote any book regardless of its original. Please remember to bring your student ID to sell books. Early Ticket Pick Up Available for Men's Basketball vs. Wichita State – Tickets Going Fast! Due to high demand and limited availability, the Carson Center ticket office would like to make faculty/staff complimentary tickets available for the men’s basketball game against Wichita State on Sunday, January 31 at 3:00 p.m. As always, faculty/staff may present their UE ID and receive two (2) complimentary tickets to the game. It is highly recommended that if you plan on attending this game and would like lower level seating that you take advantage of this early offer. SOC 105 Available during Winter Session! Do you want to get ahead in credit hours, take a general education course, finish missing requirements, or complete electives? SOC 105- Introduction to Sociology is available during Winter Session online! This is an introductory course designed to increase your knowledge of sociology and its concepts and theories. We will explore the basic social institutions, systems of inequality, and social forces that shape our world. There are NO prerequisites, and it satisfies general education outcome and overlay requirements! The December Pcard cycle which began November 24, ends on December 21, at midnight. As of December 23, cardholders may schedule and run the December Cycle report. December transactions may be reconciled in SDG2 until January 6. On January 6, the general ledger Pcard file will be uploaded and cardholders will be locked out of (unable to make changes) posted transactions for the December Cycle. For the first time, the University of Evansville will be holding a West Side Night with the Purple Aces at the men’s basketball game versus Indiana State on December 30. Fans will be able to purchase vouchers for discounted tickets to UE’s Missouri Valley Conference opener at several locations on the west side of Evansville. Normally $15, fans can purchase these seats for just $5. Vouchers can be picked up at the following west side locations: Hilltop Inn, Azzip Pizza (west side location only), Gerst Haus, Smitty’s Italian Steakhouse, Sportsman’s Grille & Billiards, B&S Home Improvement, Banterra Bank, St. Phillips Inn, Fulton Tile and Stone, Marx BBQ & Catering and Donut Bank (210 N. St. Joseph Ave). They will be available beginning on December 15 until the day of the game. On game day, the first 1,000 fans will receive a free “West Side Night with the Aces” t-shirt at the Ford Center. During the game, fans will be entertained by the band and cheerleaders from Mater Dei and Reitz High Schools. The event will also raise awareness for Logan’s Promise. Logan Brown was killed by a drunk driver earlier this year and Logan’s Promise raises awareness about the perils of drinking and driving. Bandanas benefiting Logan’s Promise will be available at the lobby of the Ford Center on Dec. 30 for just $5. A video about Logan’s Promise will be played at halftime. Orange is the color representing Logan’s Promise and, in honor of that, head coach Marty Simmons will have the Purple Aces sporting the new orange NIKE jerseys in front of the home crowd for the first time. Fans are also encouraged to wear orange to the game. Faculty and staff will be able to pick up their two complimentary tickets for select games over winter break beginning today. Tickets can be picked up for the Men's Basketball games on December 17, 22 and 30. Tickets can be picked up for the women's games on December 21 and December 29. Tickets can be picked up from the Carson Center Athletic Ticket Office with a UE ID. The Athletic Ticket Office is open Monday-Friday, 8:30 am-5:00 pm.